Danco Electrical Contractors of Raleigh is experienced in all phases of design, estimation and construction to design and deliver efficient electrical systems to new state-of-the-art commercial buildings. Our company works seamlessly with engineers, architects and construction officials to translate your design concept into an operational reality. As a leading electrical contractor of Raleigh and the surrounding area, our team has successfully completed numerous projects in a design-build process on time and on budget. 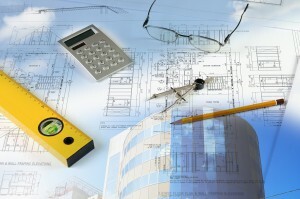 There are many advantages to the design-build process when it comes to commercial applications. One of the most attractive advantages for commercial developers is budget management. As an experienced design-build electrical contractor, we are able to discuss costs as the project evolves while ensuring quality service. Instead of preliminary bids that may or may not save you money, our team is able to discuss costs as design decisions are made. The design-build process also mitigates, or even eliminates, unforeseen setbacks, saving time and money during the commercial development project. Contact us today to learn more about the design-build process for your future commercial space. Danco Electrical Contractors, Inc was involved with a complete design-build project for a major plastics manufacturer. The project entailed moving an operating manufacturing facility in phases to preserve ongoing operations until the every aspect of the new facility was operational. The design-build required coordination between the facilities professionals, the architect, electrical engineers and the general contractor. Based upon the manufacturing needs and design criteria, new power requirements were designed into the new facility, in addition to major fixture and equipment work, to accommodate a full production line. The challenge with this project was the 90 day, fast track schedule. In addition, the project required phasing to move a full production line while preserving the production schedule and maintaining operational effectiveness. At completion, four production lines were moved in phases without interrupting a single customer shipment of plastic product.